The study involved 244 male and 260 female subjects – five times larger than any previous similar research on smoking and cortical thickness. Their average age was 73. The test group included current smokers, ex-smokers and non-smokers. All of the subjects were examined as children in 1947 as part of the Scottish Mental Survey. Researchers used health data gathered during recent personal interviews with the subjects, and also analyzed data from MRI scans showing the current state of the subjects’ brain cortices. 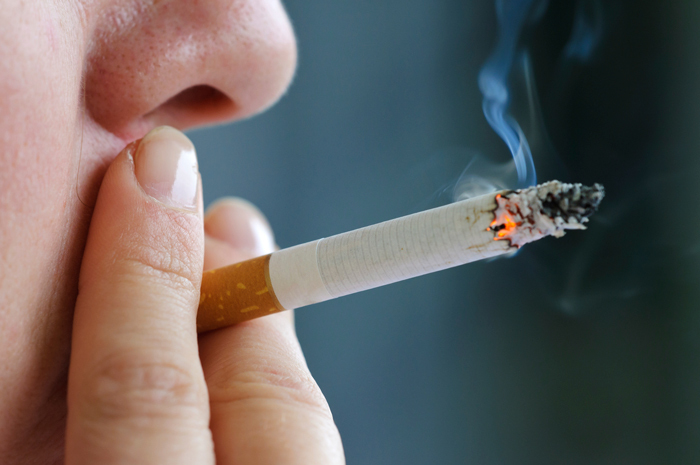 “We found that current and ex-smokers had, at age 73, many areas of thinner brain cortex than those that never smoked. Subjects who stopped smoking seem to partially recover their cortical thickness for each year without smoking,” says the study’s lead author Dr. Sherif Karama, assistant professor of psychiatry at McGill, psychiatrist at the Douglas Mental Health University Institute and an affiliate of the Montreal Neurological Institute. The apparent recovery process is slow, however, and incomplete. Heavy ex-smokers in the study who had given up smoking for more than 25 years still had a thinner cortex. Read the full study online in Molecular Psychiatry.